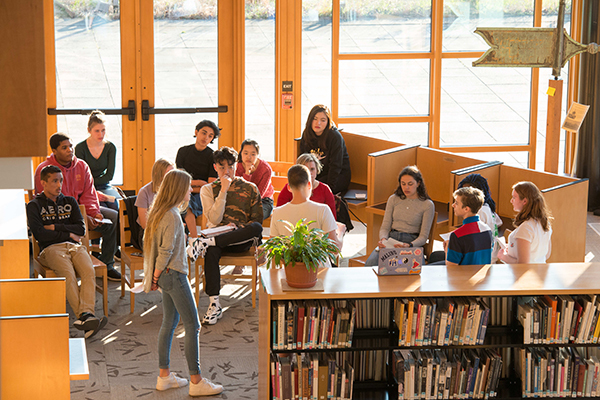 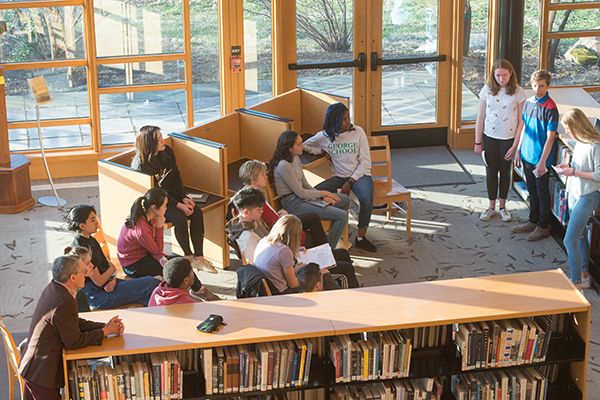 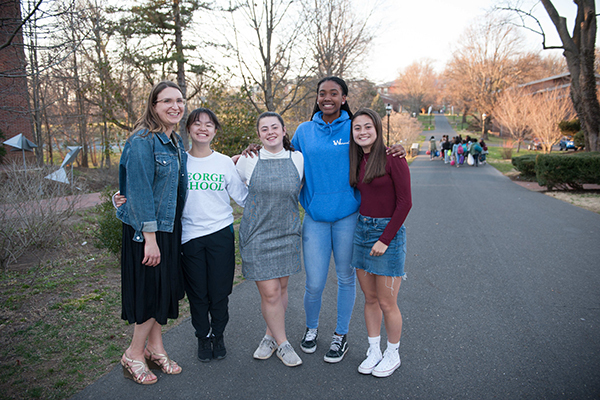 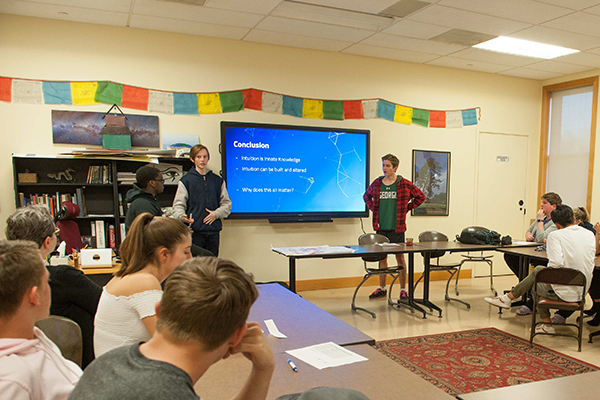 The Class of 2021 participated in the annual Thinking Across Disciplines (TAD) sophomore project this spring to compare and contrast ways of thinking in different subject areas. 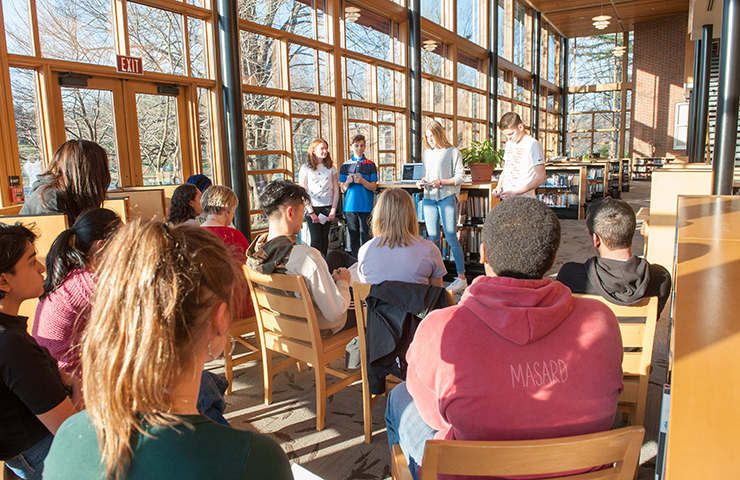 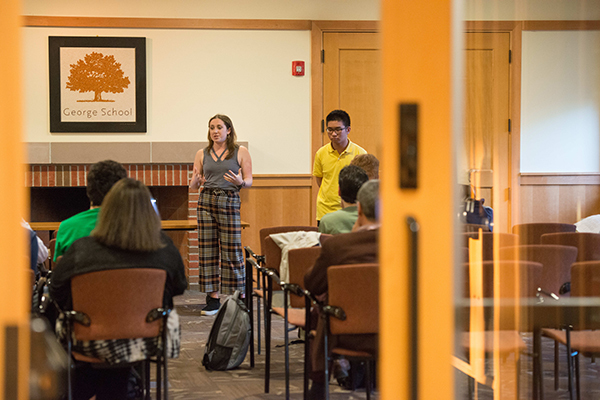 Students presented their work during the TAD Project Presentations and Celebration in the Mollie Dodd Anderson Library on Wednesday, April 3, 2019. 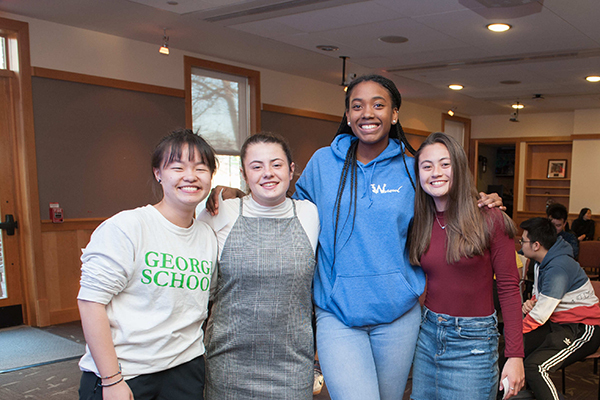 Students conducted their research by talking to teachers in that particular subject area, and interviewing family members or friends outside of George School, to see the role that intuition has played in their work. 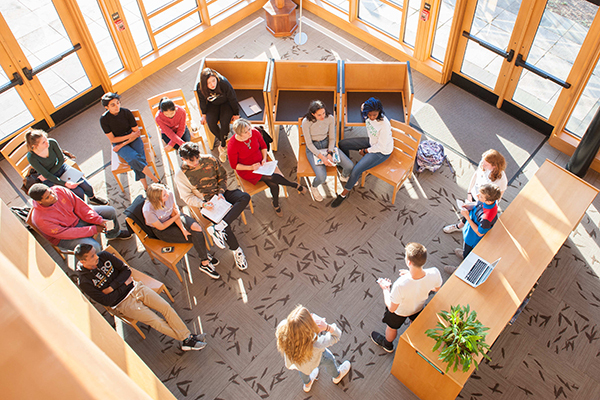 Supplemental research was also collected through reading articles and reflecting on how information can challenge a person’s unique perception of intuition. 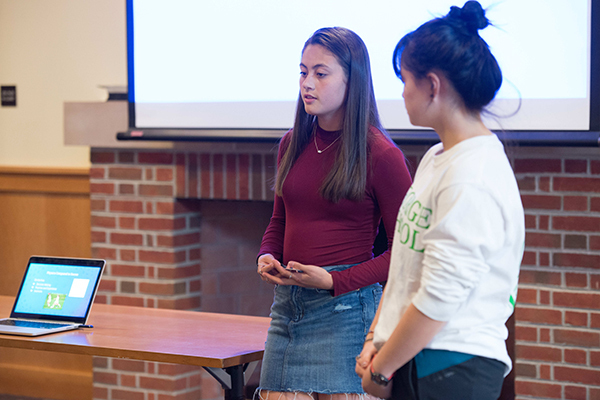 Each individual then had to synthesize their findings in a research paper, and present as a group at the TAD event where they were assessed by faculty, administration, and students. 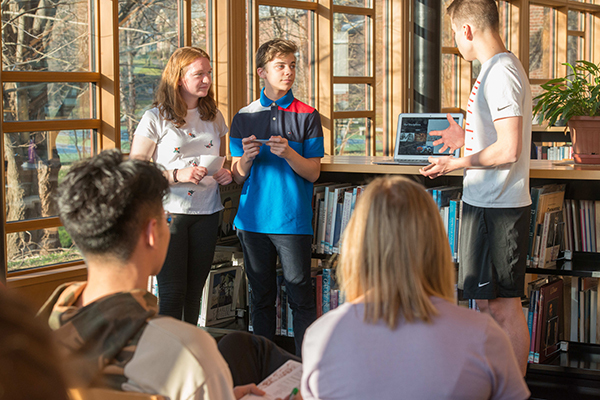 The TAD project provides students with an opportunity to reflect on their learning, feel inspired by new ways of thinking, and approach their school work with a new perspective.